No Matter Where You Ride. 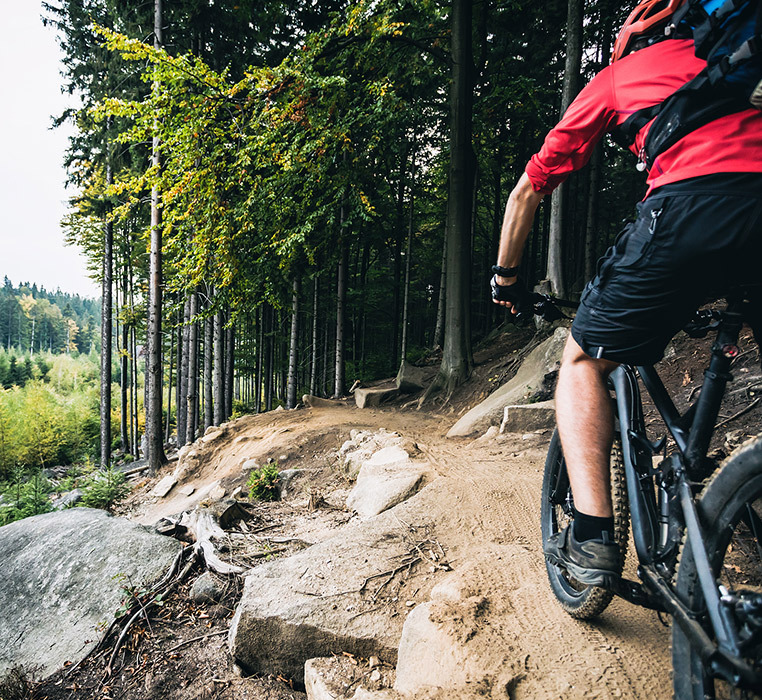 Convenient, heavy duty cleaning wipes that remove even the toughest messes found on any road, trail, track or driveway. Grease? No problem. Tar splatter? Easy. Got any other messes? We’ve got the wipe. 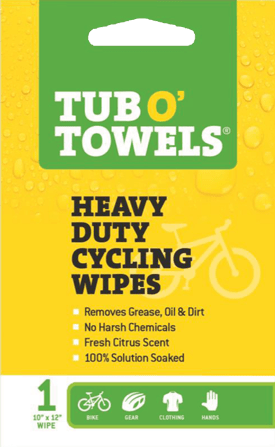 It doesn’t matter if you’re on the side of the road fixing a flat or sliding your chain back into place after some gnarly downhill…Tub O’ Towels heavy duty cleaning wipes easily break the mess down and wipe it away. Loaded with a proprietary, high-performance blend of detergents and emulsifiers that work to dissolve grease and more upon contact to enable cleaning while foaming agents lift away the dirt and grime. 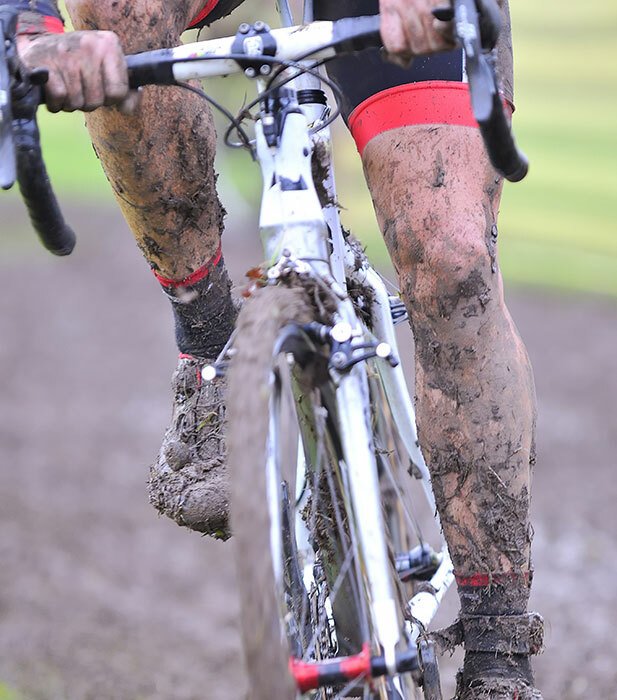 It’s never been so easy to stay clean, no matter where you ride. Convenient packaging for use in panniers, hydration bags, bicycle jersey pockets, under seat bags and more!